James Joyce was an Irish novelist, renowned for his experimental usage of language in his works Ulysses and Finnegans Wake. His technical innovations included using the interior monologue quite extensively. Joyce applied a complicated system of symbolic parallels that were drawn from history, mythology, along with literature, and developed a distinctive language that had puns, allusions and invented words. Joyce was born in February of 1882, in Dublin, Ireland. He was the son of an impoverished gentleman, John Stanislaus Joyce. His father had been unsuccessful in his distillery business, and was not successful with other professions either, such as tax collecting and politics. His mother, Mary J. Murray, was a very accomplished pianist who was heavily influenced by the Catholic Church. Despite the family’s poverty, they tried very hard to preserve a middle-class facade. When Joyce was six, his parents enrolled him at the Clongowes Wood College, and later at Dublin’s Belvedere College. In 1898, Joyce attended the University College in Dublin. His first publication was a well-written essay on a play by Ibsen entitled When We Dead Awaken. The Fortnightly Review published it in 1900. During this time, Joyce was also composing lyrical poems. After graduating in 1902, Joyce went to Paris, France, where he was employed as a teacher, journalist, and in several other jobs when financial conditions were difficult. Joyce spent one year in Paris and returned home when he was notified that his mother was very ill. Shortly after she died, he started traveling again. In 1904, Joyce met Nora Barnacle, whom he later married in 1931 in London. They only had one son, George. When World War I broke out, Joyce moved to Zürich with his wife and child. Here, he started working on his masterpiece – Ulysses – and it was published in 1922 in France due to censorship problems in the United States and Great Britain. The book became legal to own in those countries in 1933. In March of 1923, Joyce went to Paris to work on Finnegans Wake, his second major work. He suffered with glaucoma during this time. The first part of this book (called Work in Progress) was published in Transition, a literary magazine, in April of 1924. In 1939, the final version for the novel was published. Many critics considered this work to be his best work, although many readers thought it was incomprehensible. When Germany invaded France, Joyce and his family went back to Zürich. 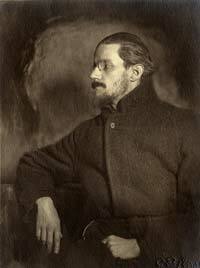 James Joyce died in January of 1941, after surgery for an ulcer. Joyce’s Ulysses chronicles the life of Leopold Bloom while he goes through a normal day in Dublin in June 16, 1904 (the same date that Joyce met his future wife). Ulysses is the Latin name for Odysseus, Homer‘s hero in the epic Odyssey. The story establishes a number of parallels between the book’s events and characters to those in the Homer’s work. Finnegan’s Wake is an entire novel that was written in an idiosyncratic language which consists of a blend of common English lexical items and portmanteau words and neologistic multilingual puns. Many critics believe this was an attempt to recreate sleep and dream experiences. Due to its complexity, along with its abandonment of conventional character and plot construction, this work was not received well by the general public. Joyce published Chamber Music, a collection of his poems in 1907. In 1914, he published Dubliners, and two years later, A Portrait of the Artist as a Young Man was published. In 1918, his play Exilesin was published.